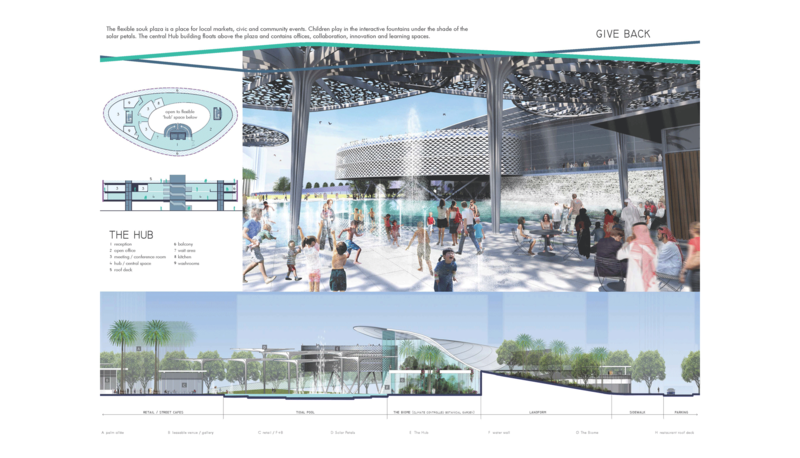 CRJA-IBI Group was selected to compete in a competition to develop and design a regeneration concept plan for an existing public park in Abu Dhabi. 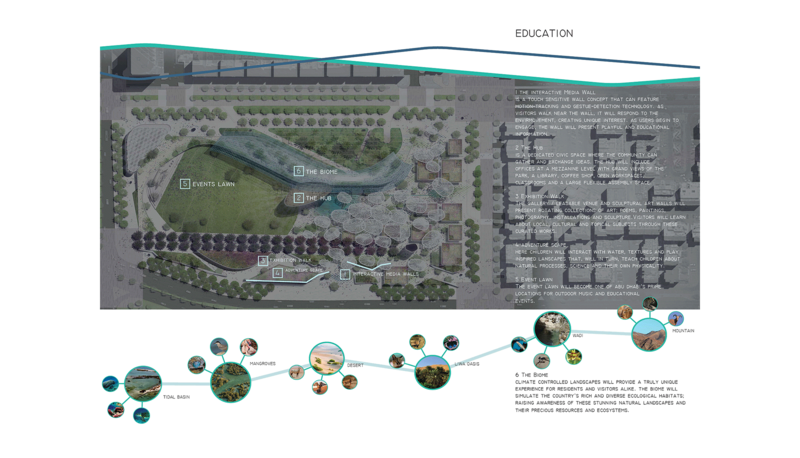 The existing park’s formal layout and features are simply superimposed upon the site without much regard for the park’s setting or context. 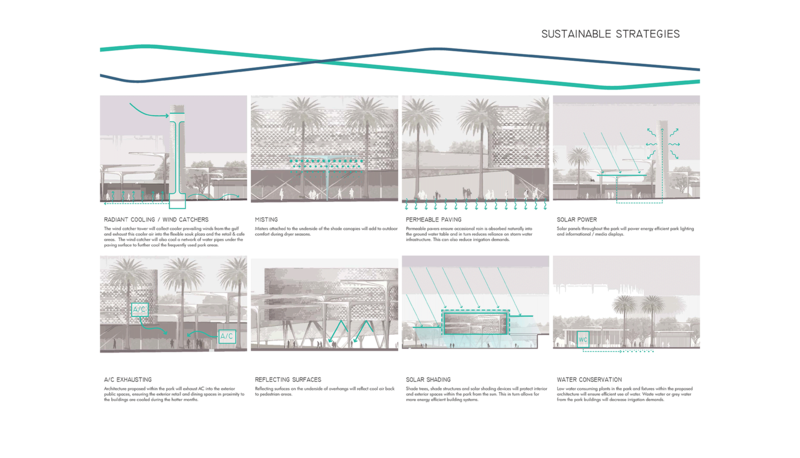 This approach creates a park that feels isolated from the neighbouring residential blocks and communities. 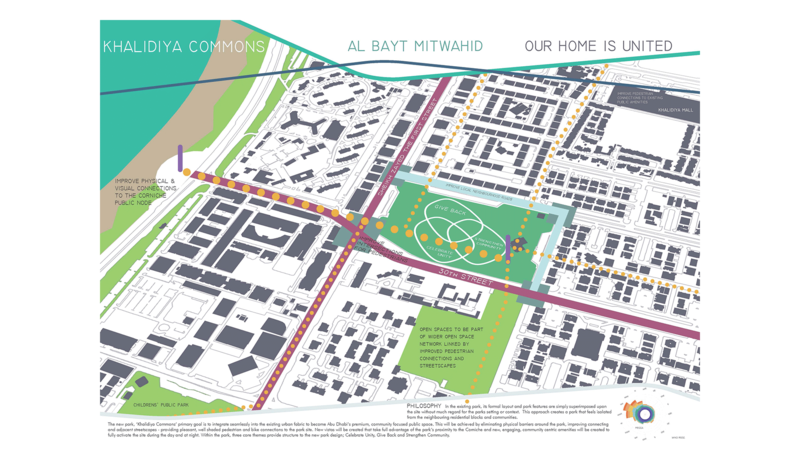 The new park’s primary goal is to integrate seamlessly into the existing urban fabric to become Abu Dhabi’s premium, community focused public space. 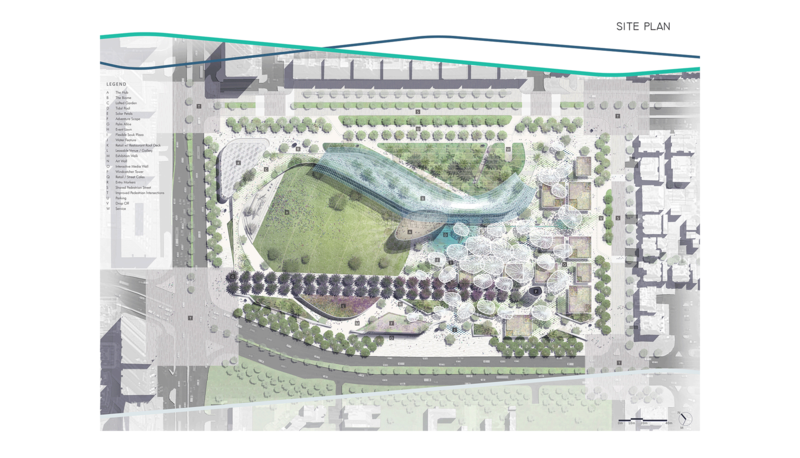 This will be achieved by eliminating physical barriers around the park, improving connecting and adjacent streetscapes—providing pleasant, well shaded pedestrian and bike connections to the park site. 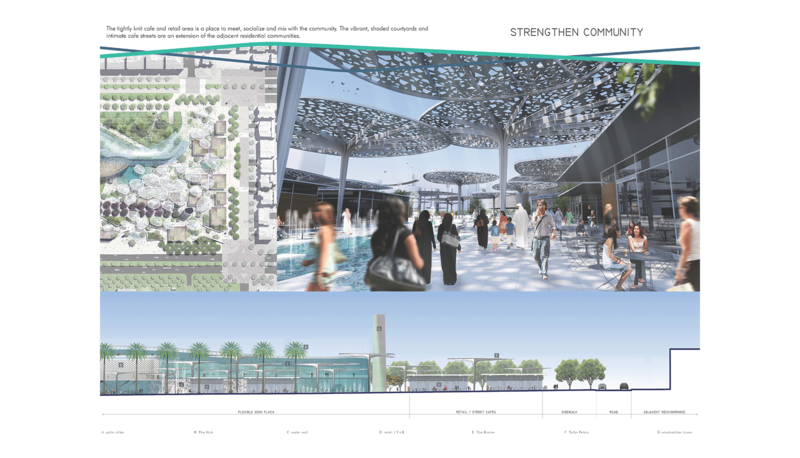 New vistas will be created that take full advantage of the park’s proximity to the Corniche and new, engaging, community centric amenities will be created to fully activate the site during the day and at night. 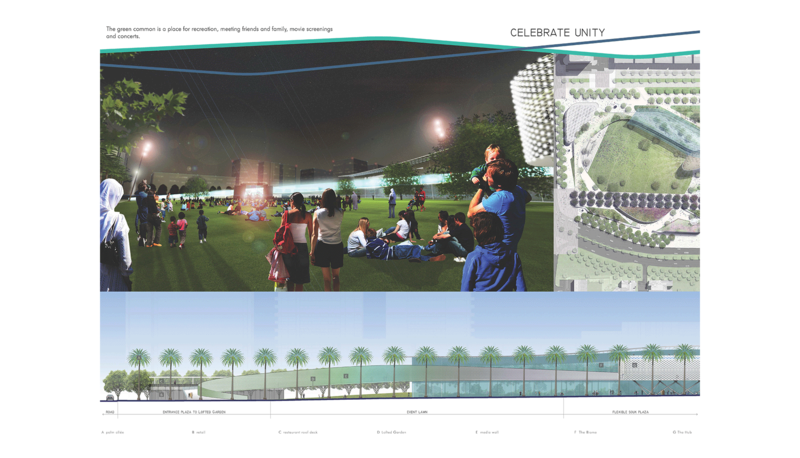 Within the park, three core themes provide structure to the new park design; Celebrate Unity, Give Back and Strengthen Community.